Jagan Jami is the COO @ Acuvate Software. He heads the delivery unit at Acuvate which had delivered 100+ intranets to companies across the globe. Jagan has been working with global CIOs and other business heads and consulted them on Intranet evolution and current trends. BOTs – Why Should the Enterprises bet on Them? What Potential Do Chatbots Hold For The Enterprise? 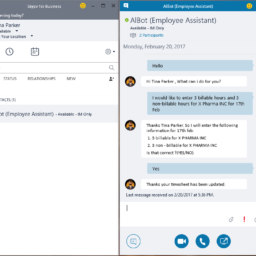 World’s first Bots on Skype for Business! Why Chatbots are the Perfect fit for Mode 2 of Bimodal IT?